Oman Air has launched a new advertising campaign with the airline’s brand displayed across some of London’s famous black cabs. Over the next year, 12 London taxis will feature the images of Oman and four of the airline’s most impressive onward destinations. The campaign hopes to create a greater awareness about Oman Air and the beautiful locations it flies to. 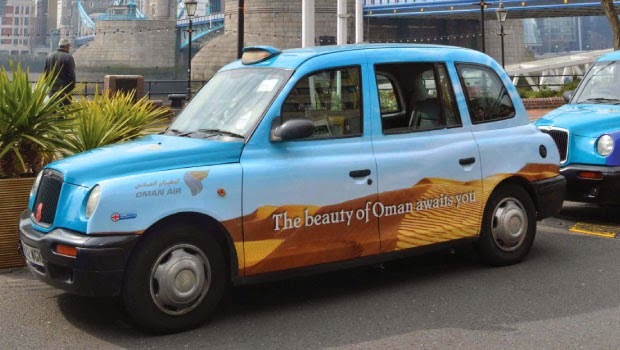 Each cab features one of four images of Oman on one side with a stunning location on the other side of either Sri Lanka, Maldives, Thailand or India. As well, Oman Air-branded taxi receipts are handed out to customers to complete the advertising exercise. 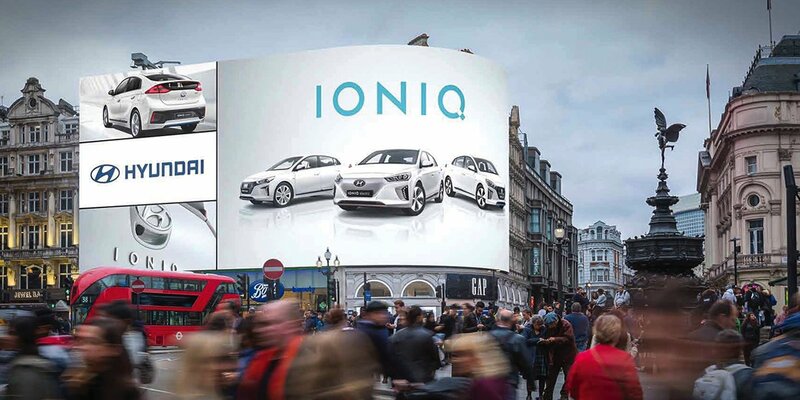 As the only airline to fly daily, non-stop from London Heathrow to Muscat, this is the first time the airline has embarked on an advertising campaign in the city, on such a scale using taxis. Jamal Al Azki, Acting Country Manager of UK and Ireland, said: “The quintessentially British black cab provides the perfect platform to promote the Oman Air brand in a unique and dynamic way. Find out more information about advertising with transport media. Need to advertise your own business or brand? Take a look at the out of home media formats your can use to successfully advertise your brand.